Not only does the Metropole enjoy an enviable position right on the lakeside but it is ideally located in the centre of the resort and only 3 minutes to the ferry departure point. The comfortable lounge/bar and the sun terrace is an attractive location in which to enjoy a cool drink and there are superb views from the roof garden. for 2 people on bed and breakfast sharing a twin room with private bath or shower and WC with side lake view. Rooms with balcony and lake view (which are smaller in size) are available at a supplement. Family rooms comprising of a twin and single room sharing one bathroom are also available. All rooms have satellite TV, hairdryer, air conditioning, safe and minibar. We update Metropole, Bellagio's details often, but facilities do change. e.g. some extras listed by the supplier as "free" or included might only be for the first time you use them, or for one time per party, then charged for further use. If any specific feature is essential to your holiday, make sure you ask us to confirm the details of it before you book your holiday. 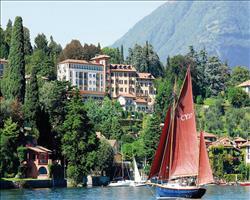 Hotel Belvedere Bellagio Italy, Dover Ferry 2nd October. Excelsior Splendi... Bellagio Italy, Gatwick 8th May.